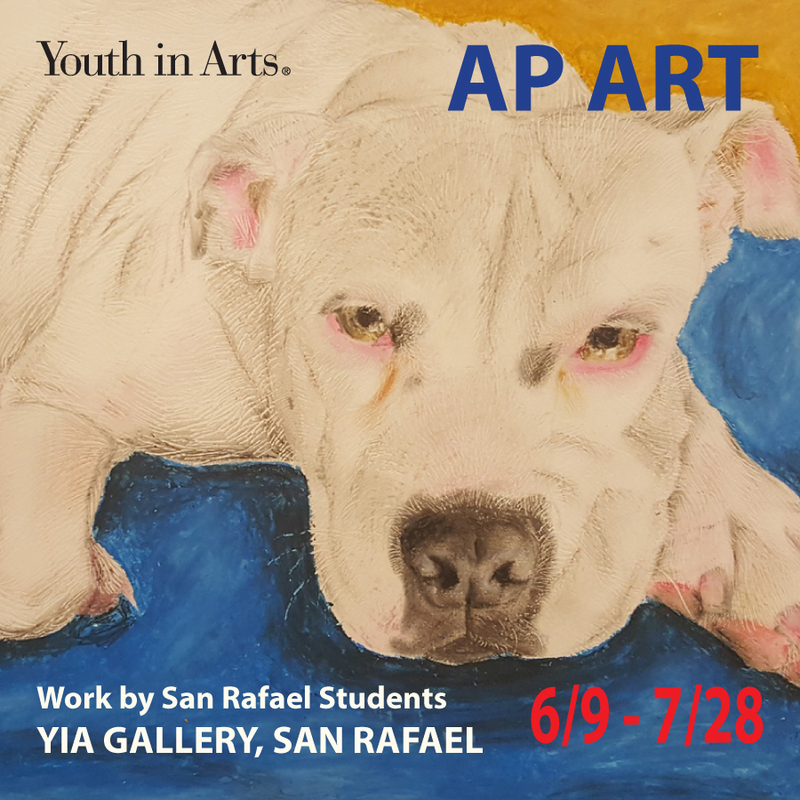 Visit YIA Gallery this summer to enjoy paintings, drawings, mixed media and digital art by San Rafael students in AP Art courses at San Rafael and Terra Linda High Schools. This exhibit, organized by teaching artists Annie Yi (San Rafael HS) and Katy Bernheim (Terra Linda HS), is a partnership between YIA Gallery and both school sites. School and camp group tours with hands-on art activities for any age group are available by reservation only (email yia@youthinarts.org). © Copyright 2019 Youth In Arts, San Rafael. All Rights Reserved.